my friend Heather does this every week and I love it. Therefore, I'm stealing it. Thanks Heather. I don't like REAL macaroni and cheese. 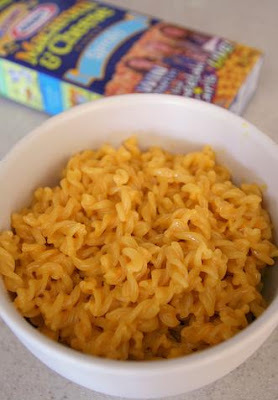 I'll eat the Kraft SPIRAL. It just doesn't taste the same. My mom makes killer mac and cheese. But I still prefer my spiraled from a box for $0.89.